The secret to growing a lush and fruitful garden begins with a single seed. When it’s cold and dreary and the garden is covered in snow, it’s a great time to start thinking about and planning what you’ll grow in the spring. That’s where indoor seed starting comes in very handy! It’s a great feeling when you can not only say “I made this!” while serving up a homemade dish, but also “I grew this!” too. Surprise your friends and family with delicious fresh veggies grown in your own urban garden. We think it’s an incredible experience to make real food from something that was only a tiny seed a few months before. The great thing? 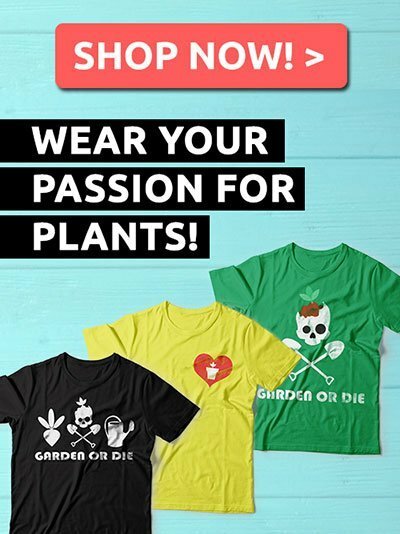 For most plants, it’s fairly simple to do. Here are some basic steps for starting your own seeds at home. 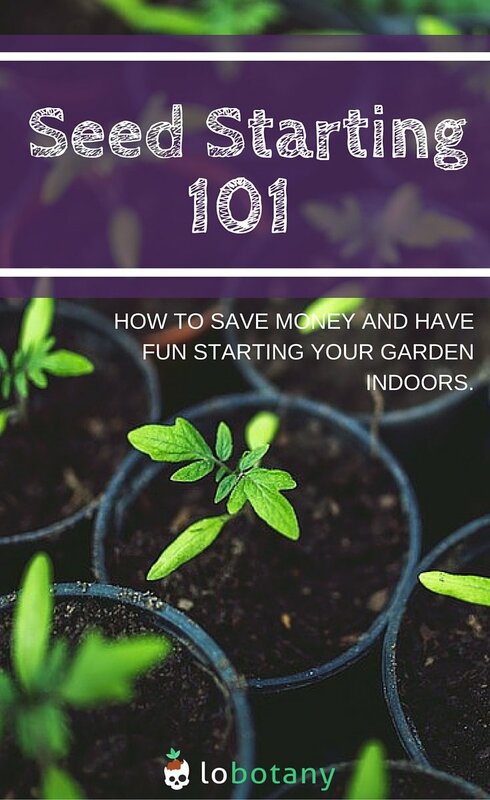 Starting seeds early in the season is a great way to save money and get the most out of plants that produce throughout the summer. 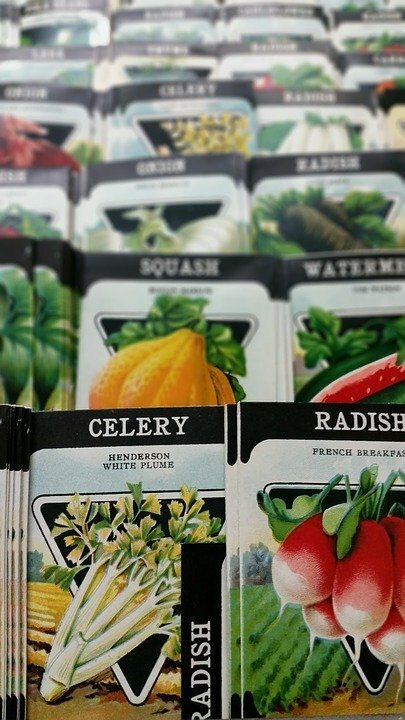 Most local seed companies, garden supply stores, and nurseries will sell seeds appropriate for the climate in your zone. Check out our Grow Guides section for a list of plants that do great in containers, along with info on what kind of growing conditions they require, and difficulty level. Make sure you choose something that is right for your experience level! For example: if you’re a beginner, you may want to steer clear from starting rosemary from seed—try planting a cutting or buying a starter plant instead, as rosemary is difficult to get going from seed. You can start seeds in just about anything you can find around the house, or you can buy all sorts of interesting setups—whatever best suit your needs. Seed starting trays, peat pellets, soil blocks, small or full sized pots can be used. Just keep in mind that you’ll have better control over moisture levels with a setup meant for starting seeds in. Generally, the larger the container, the harder it is to control the moisture level around each tiny seed. 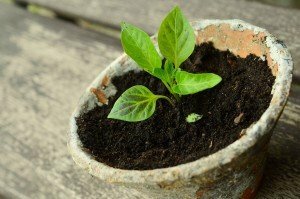 There are also several DIY solutions that work well, such as filling toilet paper rolls, egg cartons or eggshells with soil and using them as seed starting pots. Biodegradable paper or organic products (eggshells, citrus rinds cut in half, etc) are great for this as they can be planted right in the garden come spring time and will eventually disintegrate. You can get pre-made seed starting mix almost anywhere you buy gardening supplies. This mixture is sterile, light, and holds moisture well—all great things for helping seeds to germinate. *We can attest to this: After bringing our entire garden inside due to construction on our balcony, we’ve had to deal with a fungus gnat infestation. Tiny little flies buzzing past your eyeball at all hours of the day will drive you bonkers! Trust us, we know. Before you get started planting your seeds you’ll need to water your soil, then let it sit for a bit to allow the moisture to distribute itself evenly. Plant your seeds according the instructions on the packet. Most seeds like a consistently moist and warm environment in order to germinate, so make sure not to forget to keep them watered. Putting some sort of dome (most seed trays come with one) or other clear plastic covering over top is a great way to keep them warm and slows down the evaporation process so you don’t need to water as often. If possible, water from the bottom by pouring water in the tray and not directly over the soil. This will prevent seeds from being washed away, and delicate seedlings from being damaged. However, don’t leave your plants sitting in water! Soggy soil can lead to root rot and ultimately kills your plants. Seeds themselves don’t need light, so you can leave your seed tray or containers somewhere with indirect light to begin with. Once the seedlings emerge from the soil they will need to be placed somewhere with strong sunlight for most of the day. This is required to prevent the seedlings from getting “leggy”. Leggy seedlings grow tall and spindly as they stretch desperately for the light. They are weak and prone to toppling over as a result. 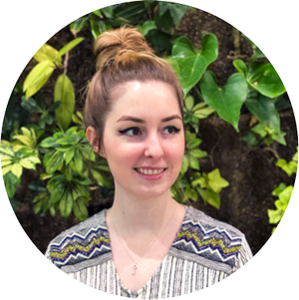 If you do not have an appropriately sunny windowsill for them, you can supplement with a fluorescent grow light placed as close to the plants as possible (as long as the lights do not get too hot!). In general, most seed packets will encourage you to plant 2-3 seeds per starter pot and thin out all except for the strongest seedling once they have sprouted. You may give them a little time to grow (until they get their first set of true leaves, for example) before doing this. The key here is to use scissors to do this, and not try to save all 3 seedlings by teasing them apart with your fingers. This can cause damage to the roots and leave you with 3 damaged and weak seedlings that are less likely to survive in the end. We know it can be hard to heartlessly snip little baby plants, but it’s the best method overall, we promise! Brace yourself, grab a clean pair of scissors and snip all but the strongest seedlings in every pot. When the seedlings have had time to grow and establish themselves and the last spring frost date has passed (you can use this tool from Farmer’s Almanac to find your last frost date), it’s time to prepare them for the great outdoors. Seedlings must be ‘hardened off’, or toughened up before they can handle the harsher environment outside. Start by moving the trays outside, out of direct sunlight, and only for a few hours. Each day, increase the duration that they spend outdoors, until they reach a full day. This process should take approximately one week to ten days. Afterwards, the plants are ready to be transferred to their regular sized containers and can be safely left outside permanently. 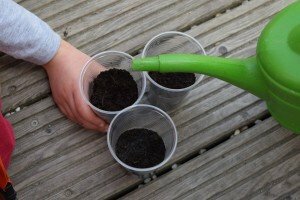 Seed starting is an interesting and fun process, great for adults and kids alike. As always, gardening is trial and error, so expect some losses along with the triumphs. Not every seed will germinate, some seedlings will get leggy, some will die, and you’ll have straight up zero luck with others. Having said that, the benefits are clear when, come summertime, you have plenty of leafy greens and juicy veggies to enjoy and share.